Or at least it could be. Because friends, this place actually exists. It is a candy factory, located in Salt Lake City, Utah. 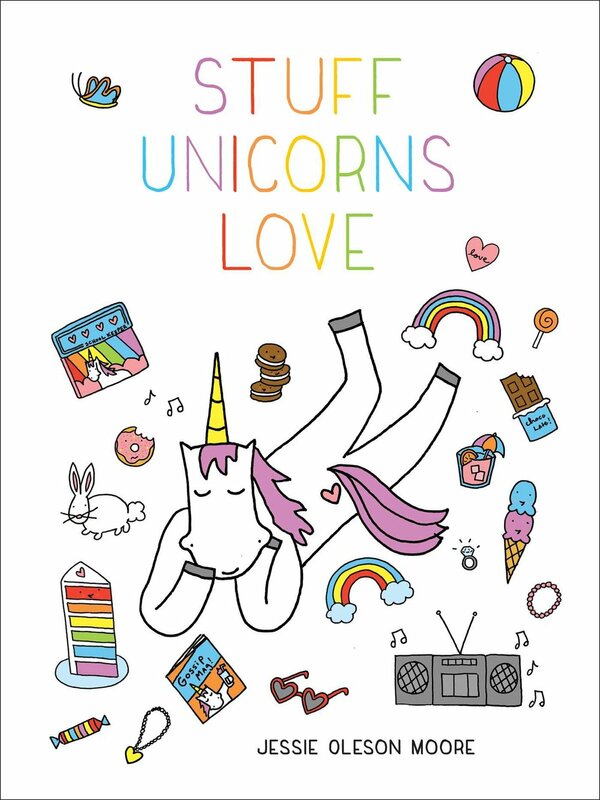 Now, this company is magical in more ways than one. First of all, it opened my eyes to the fact that Saltwater Taffy, which I knew from growing up by the Jersey Shore, exists outside of the tri-state area. True, many accounts point to it being invented there (NJ pride! ), but there are pockets of Taffy Territory elsewhere in the US: notably by the Oregon Coast, and also--news to me--in Salt Lake City. I learned of this company in a roundabout way--while visiting a Bavarian Village in Central Washington. It's true. 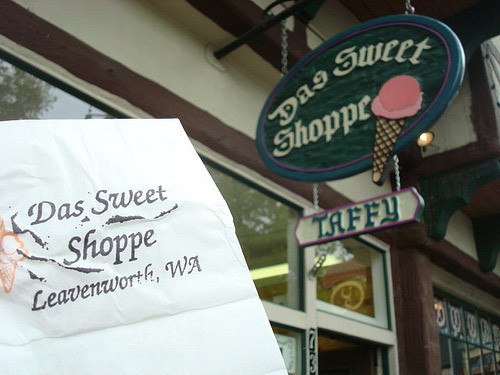 While visiting a Das Sweet Shoppe, a candy shop in Leavenworth, WA, I was impressed with the vast array of taffies in flavors from Buttered Popcorn to caramel to Cinnamon Bun (!) to Apple Pie to Huckleberry, and asked "are these made on premises?". No, the kind employee informed me, almost apologetically, the candies came from a company in Salt Lake City. It's true, she said: these taffies were made by a company called Taffy Town, which had the best taffy she'd ever tasted--worth shipping, undoubtedly--made using salt from THE Salt Lake. Well, that was interesting enough to get me to buy a half pound of the sweet stuff (one of which had a heart--no, really! I checked the site, and they don't usually), and to (with mouth full of taffy, which was, as hoped, salty-sweet-smooth and delicious) check out their website. For over 79 years we were known as Glade Candy Company offering individuals the finest in Gourmet Taffy. 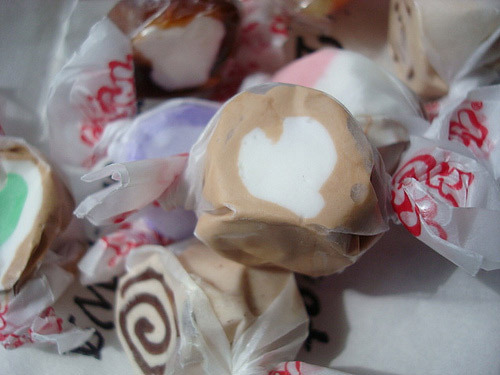 In 1995, our name was changed to "Taffy Town" to reflect our total dedication to taffy excellence. We then expanded to serve a World Wide market. Using a whipped process that produces a soft texture taffy that simply melts in your mouth, we then add the finest in domestic and imported flavors to obtain perfection in confection. In case you didn't catch it, my favorite bit: "total dedication to taffy excellence." 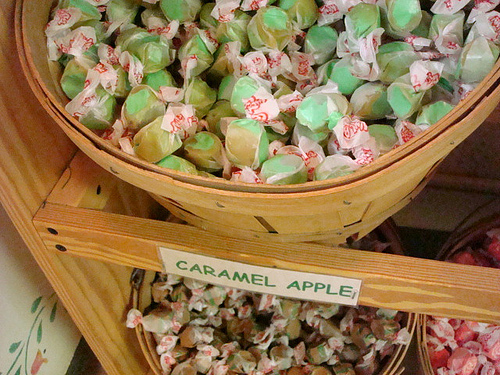 Come in today and see over 60 different flavors of our rich tasting taffy to delight every palate. 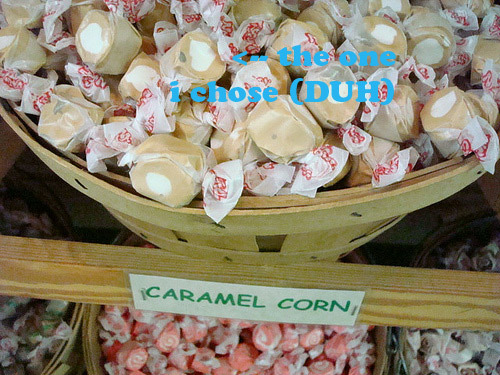 In addition to our taffy, we offer you our NEW fresh creamy smooth fudge, and other gourmet candy creations. We have all sorts of GIFT IDEAS: including a Taffy Town Gift Certificate! Also, we have a video playing on our big screen showing how we make the taffy. Of course, if this alone doesn't seem worth a visit to Utah, here's a link to their retailers. Check out the Taffy Town website here.